In older articles we talked about container virtualization and quite related application – OpenVZ virtualization. In general, when we talk about container, we mean Docker. We can actually run Docker on OpenVZ which is called nested virtualization. The containers seem to guarantee improvements in the application development. Distribution of applications faster reduces the deployment effort. More and more companies relying on container virtualization. But still there are challenges which includes security, performance, skills. 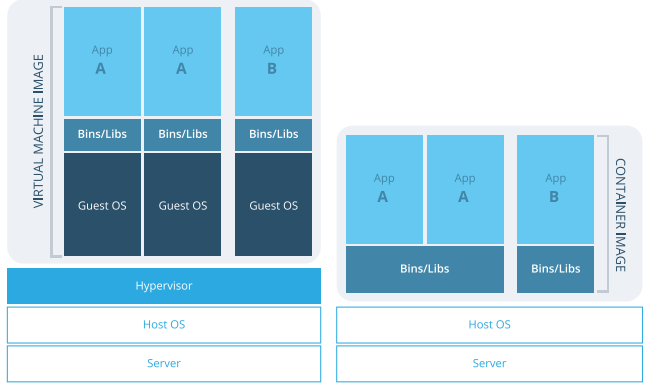 This short article intended to focus that the organizations recognize the advantages represented from using containers and virtualization jointly rather than separately. Red Hat recently released the results of a survey which assessed the levels of adoption of container by various companies. The survey involved more than 383 IT managers and operators around the world, representing organizations ranging from Fortune top 500 companies to local governments. The study shows that while the adoption of applications based on containers is given importance in the next few years, there are still concerns about safety, certification and skills. The survey results show strongly oriented business plans to the container implementations, with 67 percent of respondents expected the introduction of the new systems in the next two years. Respondents indicate to foresee the use of applications based on cloud based container, web software and e-commerce. Forty four percent of respondents see the container services as a means to consolidate their existing servers. Virtual machines also represent the preferred distribution method, with 83 percent of respondents who expect to implement the management of applications in virtual environments. Finally, open source softwares remains the dominant platform in the container world on GNU/Linux operating system. Ultimately, containers represent a significant change in the development of enterprise applications and their distribution. Cite this article as: Abhishek Ghosh, "Container Virtualization Growing With Challenges," in The Customize Windows, July 3, 2017, April 21, 2019, https://thecustomizewindows.com/2017/07/container-virtualization-growing-challenges/.